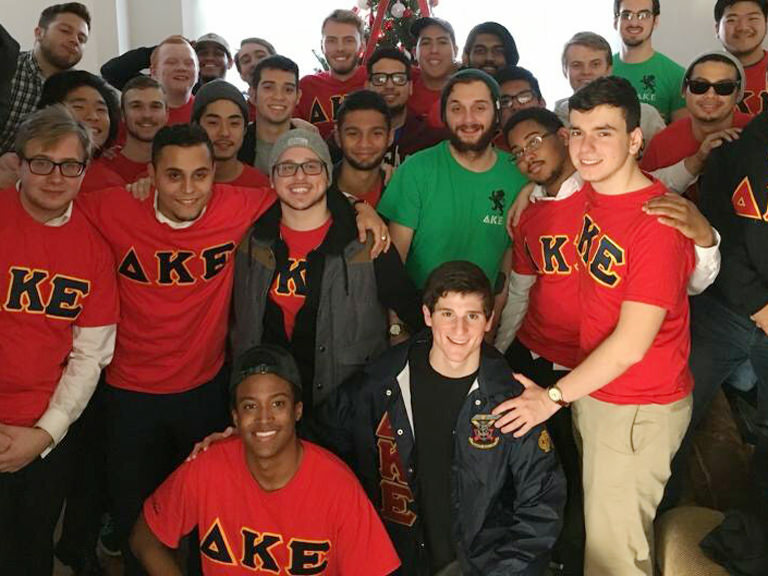 The self-proclaimed “Gentlemen, Scholars and Jolly Good Fellows,” in Manhattan College’s Phi Mu chapter of Delta Kappa Epsilon have built a name for themselves in philanthropy and fun on campus since the fraternity’s formal recognition in 2014. Each year, DKE participates in the College's Safe Halloween, an event that invites children from the nearby Bronx communities to trick-or-treat on campus. After graduation, alumni have gone on to work at IBM, Morgan Stanley, Heinz, Chase, Microsoft, and the Procter & Gamble Co.
Any male Manhattan College student is welcome to rush Delta Kappa Epsilon. Rush events are held during the first few weeks of each fall and spring semester. Once rush events are over and the new pledge class is selected, DKE events are generally for brothers only unless otherwise advertised. Contact the chapter directly at deltakappaepsilon@manhattan.edu.